Hello, fellow collectors! 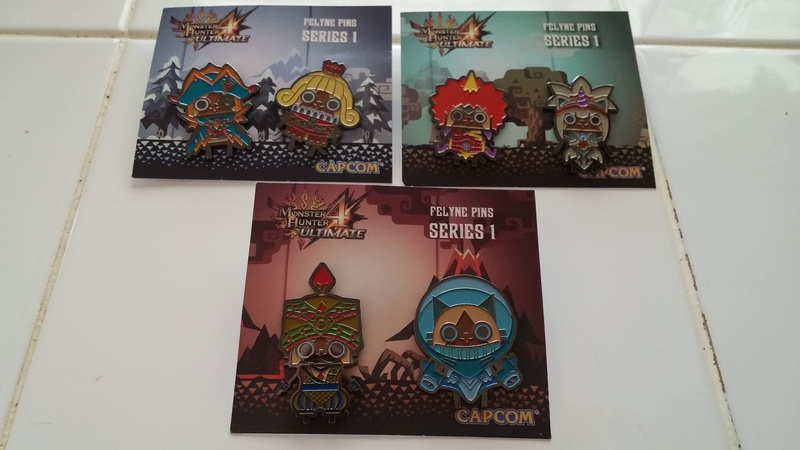 Today we’ll be looking at the adorable Monster Hunter 4 Ultimate Felyne Pins Series 1 from the US Capcom online store. 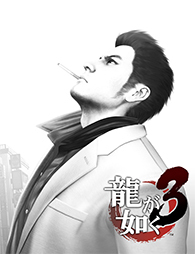 These pins seem to be US-exclusive; you cannot find these on the Japanese Capcom online store. 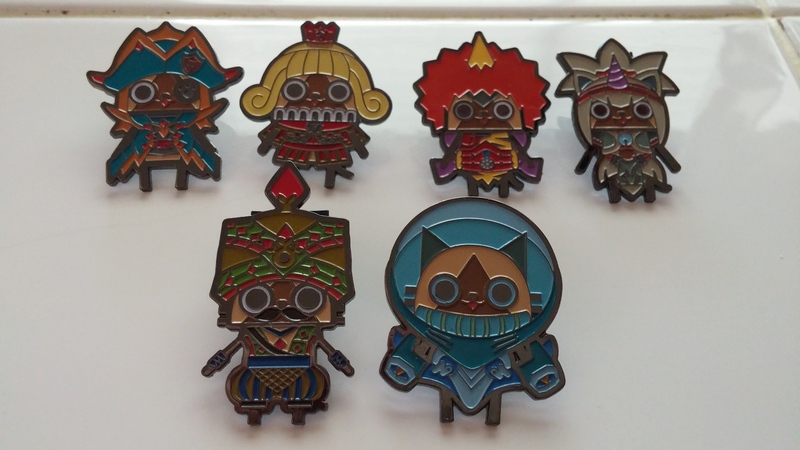 The only items that come pretty close are these Monster Hunter 4 Ultimate straps, which have some designs not included in the series 1 pin sets. 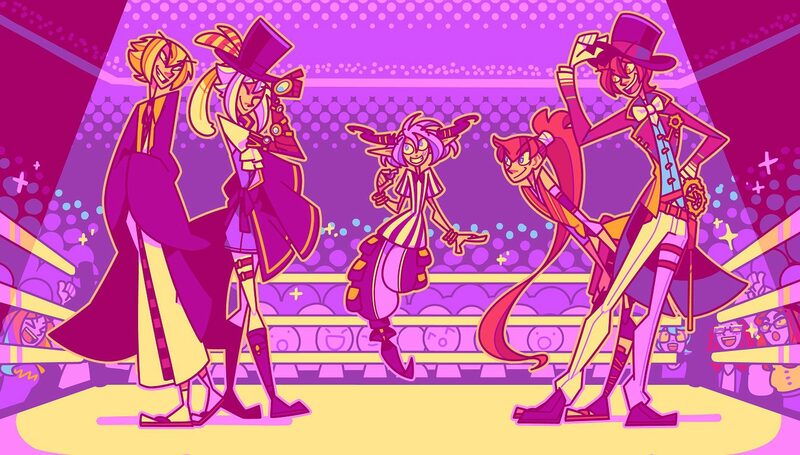 The other designs will most likely be used for series 2 pin sets. 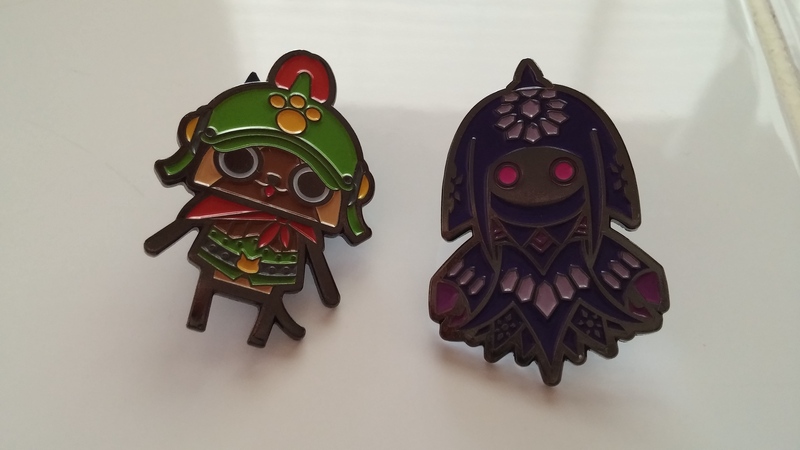 If you pre-ordered Monster Hunter through Gamestop or Amazon and got the Collector’s Edition of Monster Hunter 4 Ultimate, you got two pins to start off the series in the collection. There is no other way to get these, so unless you see them somewhere on eBay, you cannot get these! 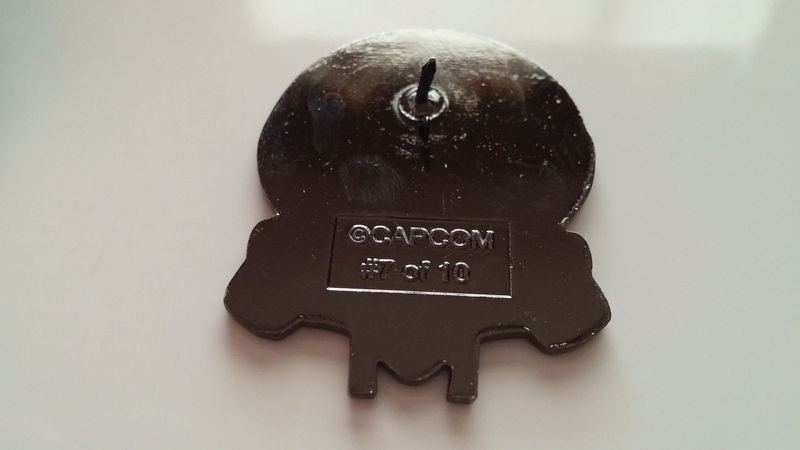 On the back of the packaging of the pins is where people found out about the existence of the other pins through Capcom’s online store. Let’s take a closer look at these pins! The pins you get through the store are the Lagiacrus & Teostra Armor set, the Tetsucabra & Kirin Armor set, the Najarala & Zamtrios Armor set, and the Brachydios Armor & Yian Kut-Ku Armor set (not pictured due to being on their way to us). They’re die-cut pewter pins, so they’re pretty high-quality pins that have a nice weight to them when you pick them up and touch them. 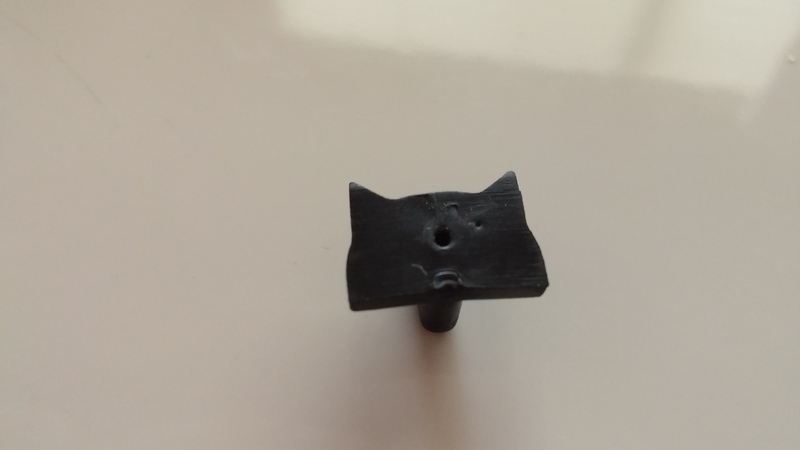 What I found pretty darn cute is the rubber pin back; it’s shaped like a little Felyne head! It just makes the set as whole really nice to have when there’s that much attention to detail. Pins ready to be shown off! These pins are very colorful, and it’ll catch the attention of people if you put them on bags or lanyards. 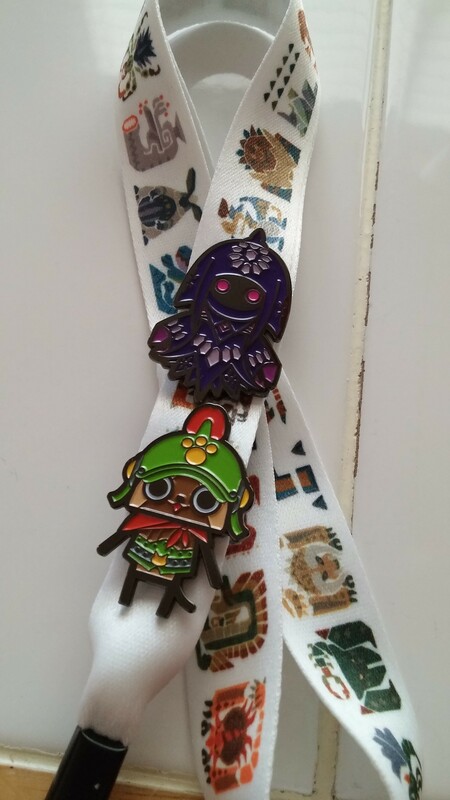 It’s perfect when they’re on the MH4U lanyard that came with the collector’s edition of the game! 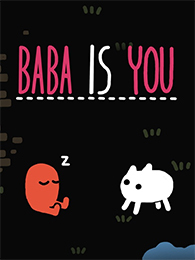 If you’re a big Monster Hunter fan, you owe it to yourself to nab all of these pins! 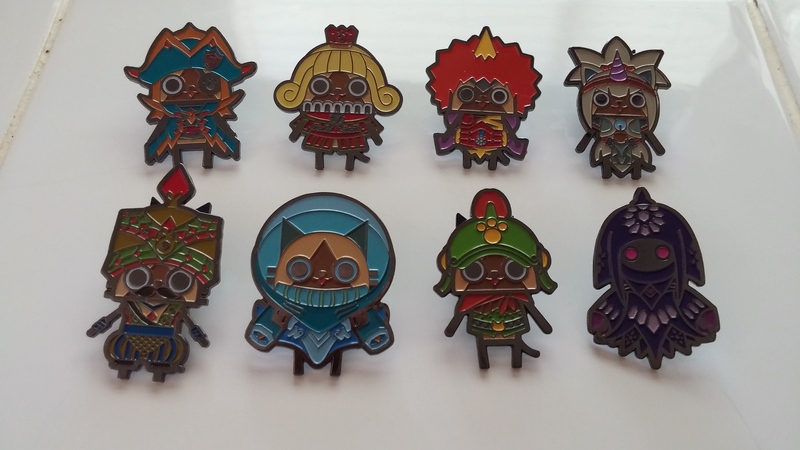 They’re incredibly adorable, and they’re really high-quality pins that’ll bring out that Monster Hunter style to whatever you pin it on. The pins tend to go out of stock, but Capcom keeps restocking them, so keep checking back every so often to nab them all! You can find the pins and other Monster Hunter merchandize in the Monster Hunter section of the Capcom online store.